Notice how the lower jaw has long folds for the canines to remain protected when the jaws are shut? This is an interesting feature, and would be good to keep the canines from breaking when the animal is relaxing. However, I found that these animals had a bite force that is weaker than that of a housecat. The reason is because their canines rooted so far back in their head that any intense pressure would have forced the roots of their teeth to put too much pressure on their brain cavity, or would have even crushed their brain. So, when creating any sabre-toothed futuristic beast, one has to take things like this in consideration. 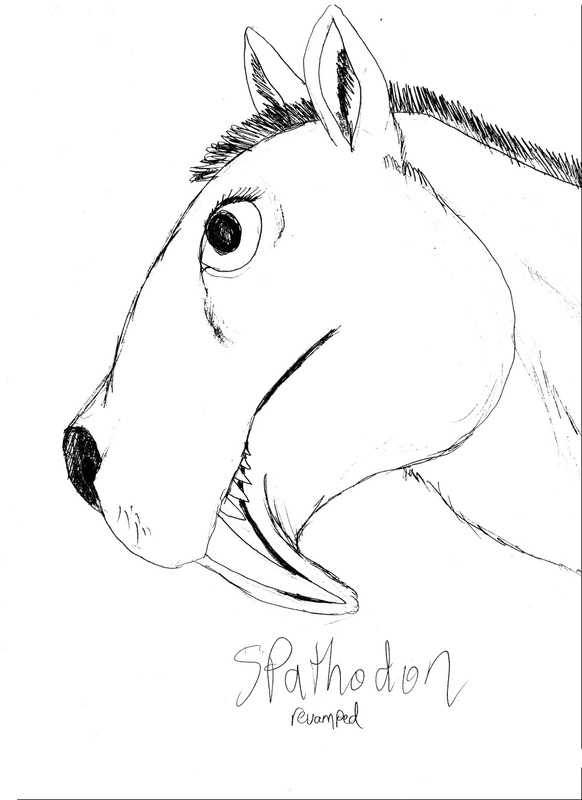 Well, I took the concept of Thylacosmilus, as well as the cat-like Smilodon, and combined them together for one of my most famous sabre-toothed inhabitants of the Metazoic, Spathodon. This creature probably would have been much scarier than it's father species, Deinognathus. It's just the right size to prey on humans, is a sharp-eyed hunter, and has 14-24 inch long fangs, followed by a series of smaller fangs that get progressively smaller in it's jaws. So, for them, not all the pressure would be placed on the front canines. Just the initial stab. But that would be immediately followed by several pokes from the animal's post-canine teeth. They go for the throat of their prey usually. For smaller prey, they use their powerful arms to flip their prey over, and use their long canines to rip open the belly. Notice the subtle changes. The forehead is quite more rounded and bumpier, and the lower lips extend down to cover the canines. Thanks for taking my suggestion into account! 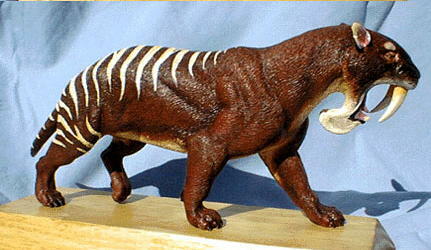 I hope that as you go on, we can work together to make the Metazoic a more scientifically accurate project. Awesome ways information that is impressive to learn something better to make us able to have something good about it.